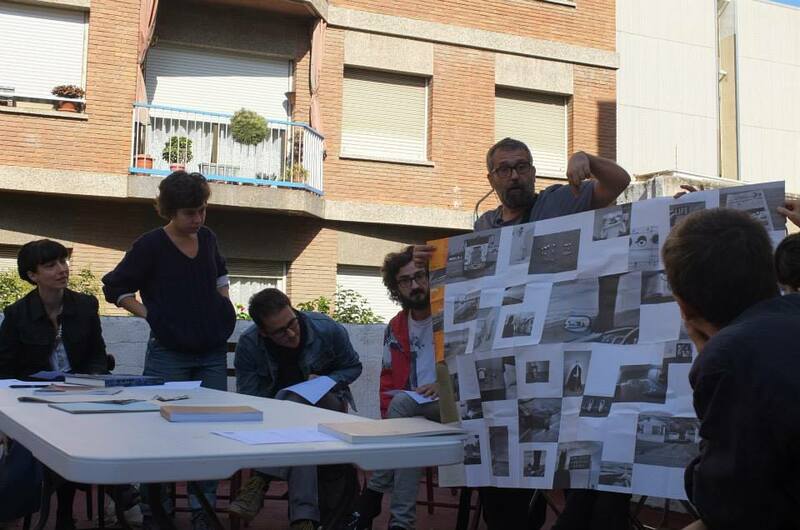 Jon Uriarte leads PhotoBook Club Barcelona, the first branch with a regular program of meet-ups. They couldn’t organize an activity for Monday so they met on Sunday morning, a sunny one. They met at El Observatorio, a photography school in Gracia, Barcelona, and here is what Jon wrote next day in their facebook page. 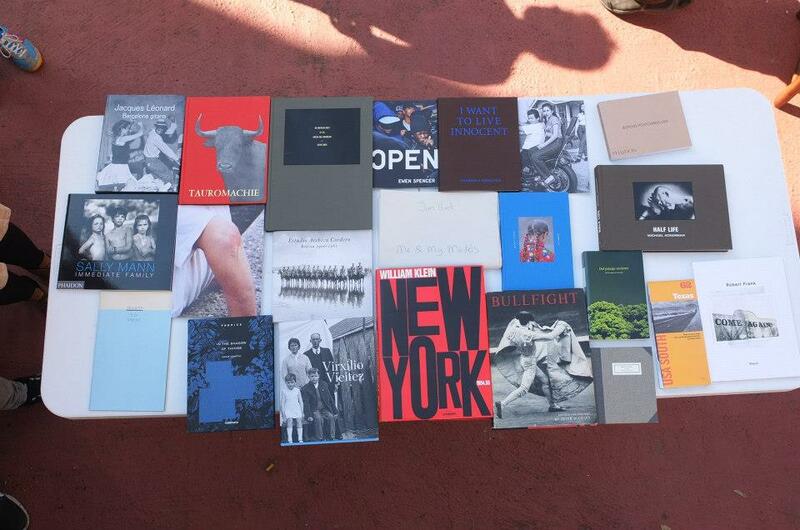 Ayer, domingo 13 de octubre nos reunimos en la undécima sesión del Photobook Club Barcelona en El Observatorio para celebrar la víspera del Día Mundial del Fotolibro. 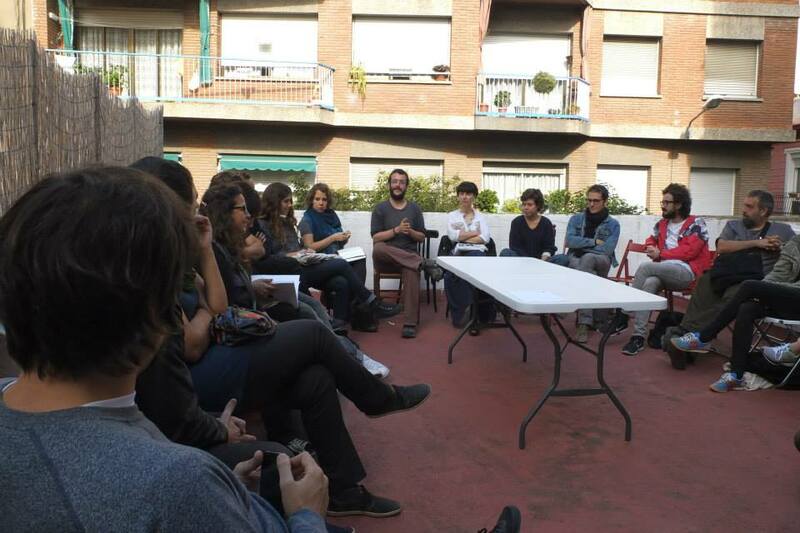 Esta vez contamos con muchas caras nuevas, casi la mitad del aforo estaba formado por gente que venía por primera vez a una de nuestras sesiones, cosa que nos alegra especialmente porque quiere decir que la familia fotolibril de Barcelona está creciendo. Al ser una sesión de tema libre sin invitados ni cosas raras, fue una de las sesiones con más variedad de libros que se recuerda desde el inicio del PCB. Muchas gracias al Observatorio por cedernos su estupenda terraza, a Cesc por las fotos, a todos los que vinisteis y también a los que os quedasteis sin plaza!! 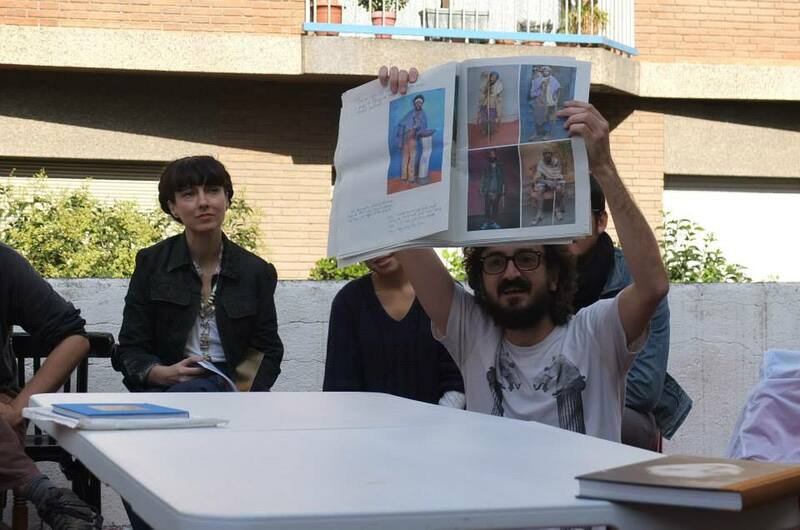 Yesterday, sunday October 13th we met for the eleventh session of PhotoBook Club Barcelona at El Observatorio to celebrate World PhotoBook Day eve. This time we count on many new faces, almost half of the capacity was formed by people that came for their first time to one of our sessions, which pleases us specially because that means photobookie family in Barcelona is growing. As it was a free topic session without guests or strange things, it was one of the sessions with a greater variety of books we remember since the PCB beginning. 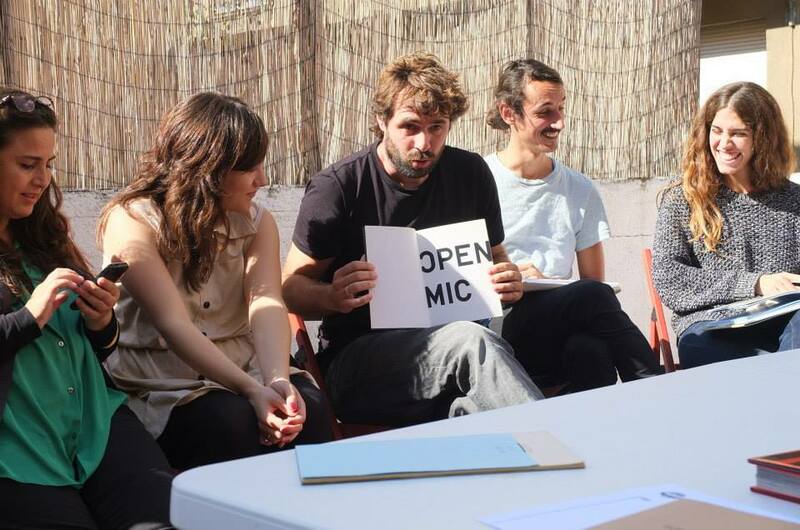 Thanks very much to El Observatorio for lending us their wonderful terrace, to Cesc for the pictures, and to everyone coming and also to the ones of you that left without vacancies! !